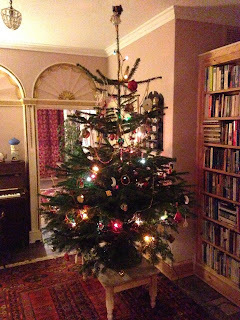 First things first, a splendid tree from Pomona Grocery which Linda and I decorated quite early on to make sure it wasn't a last minute rush before the invitation only date for winter Open Studio on 1st December. It's the first time ever all the lights worked from the get go. Mind you this was the only Christmas preparation we managed to get in it seems, before the 24th. Our feet never touched the ground! For the 2016 Winter Open Studios we utilised the basement, ground floor and first floor. The basement featured Sunny Side Art prints in the gallery section and Sunny Side Art ceramics, textiles, cards and Bargain Corner (always popular) in the basement shop. 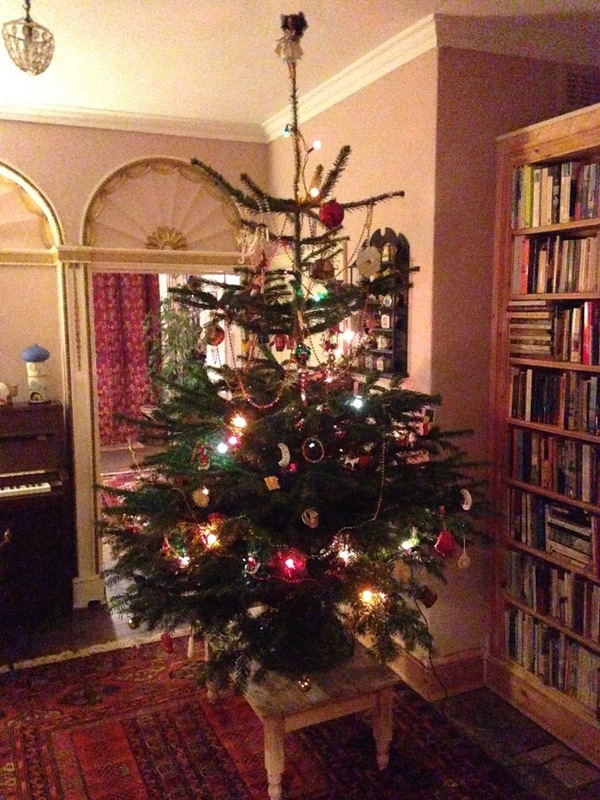 The ground floor featured the tree and we were lucky enough to have the amazing Stuart Goodhew on piano. Add to the mix some mulled cider and we had a party going on!! On the first floor Linda entertained guests in her studio and upstairs gallery which featured Linda's oil, acrylic and water colour paintings. By creating a new space, the upstairs gallery was a huge success. In all, seven paintings were sold; the hoopoe's with gold leaf proving very popular. Whether it's the summer or winter, the open studios are always a great social and cultural event. In this day and age where so much time is spent is spent behind computers, it's so important to meet people face to face. We were also able to make a donation of £100 to the Severn Hospice. So thank you to everyone who came and made it all worthwhile. See you for the 2017 Open Studios.